Sandhurst Road (station code: SNRD) is a railway station on the Central and Harbour Lines of the Mumbai Suburban Railway. It is the third stop from Chhatrapati Shivaji Terminus. Named after Lord Sandhurst, the Governor of Bombay between 1895 and 1900, the station was built in 1910 using funds from the Bombay City Improvement Trust, which he helped raise. The Sandhurst Road railway station (upper level servicing the Harbour Line) was built in 1921. The supporting pillars of the edifice bear the inscription "GIPR 1921 Lutha Iron Works, Glasgow". The fabricated metal was imported from the United Kingdom. 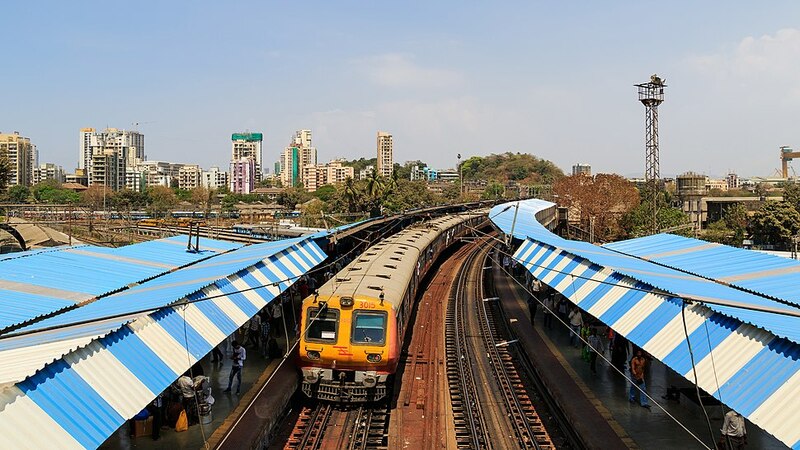 In January 2017, Lokmat reported that Central Railways planned to demolish the station in order to construct the fifth and sixth railways lines between CST and Kurla. CR plans to construct a new Sandhurst Road station on P D'Mello Road. ^ Nair, Binoo (16 December 2011). "Soon you'll know exactly when your train arrives at Sandhurst Road stn". Mumbai Mirror. ^ "Star Track". Times of India. Mumbai. 21 April 2006. p. 2. ^ "Historic Sandhurst road station to be demolished". Free Press Journal. Retrieved 17 February 2017. Sandhurst railway station is a railway station in the town of Sandhurst in Berkshire, England. The station is managed by Great Western Railway, who operate services on the North Downs Line from Reading to Guildford, Redhill and Gatwick Airport. The station is 11 1⁄2 miles (18.5 km) south east of Reading. Sandhurst Station has two platforms: Platform 1 for services towards Gatwick Airport and Platform 2 for services towards Reading. The station is unstaffed and has an enquiries and emergencies telephone situated at the bottom of Platform 1. The station uses LED-based live departure boards and audio announcements for reporting arrivals and delays to commuters. As of 2014, the station has neither a ticket office nor a ticket machine; tickets therefore have to be purchased on a train.